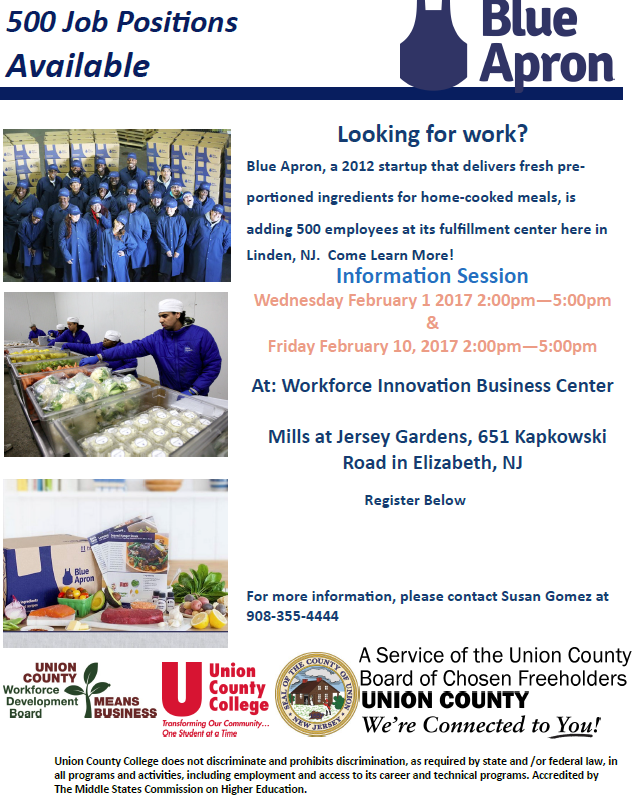 The Union County Freeholders are pleased to announce that Blue Apron in Linden will be offering 500 new jobs for Union County residents. Interested candidates should pre-register for one of two upcoming informational events at the Union County Workforce Innovation Business Center in February. For more information, call 908-355-4444. This job fair is only for Union County residents.